In the real estate market, speed is everything. Allowing a wide network of field based agents access to peers, and the right information at the right time can make or break a deal. Cloud collaboration promises to allow an always-on-the-go real estate agent workforce to communicate, collaborate and be productive in unprecedented ways. 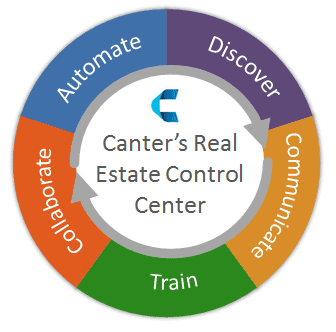 Canter Brokerage, a leading San Diego based real estate firm, and HyperOffice collaborated to showcase howCanter implemented HyperOffice’s collaboration technology to create a customized mobile and cloud platform customized for their specific needs – a first in the real estate industry. This whitepaper is a great resource for real estate companies considering ways to put new collaboration technology to work.